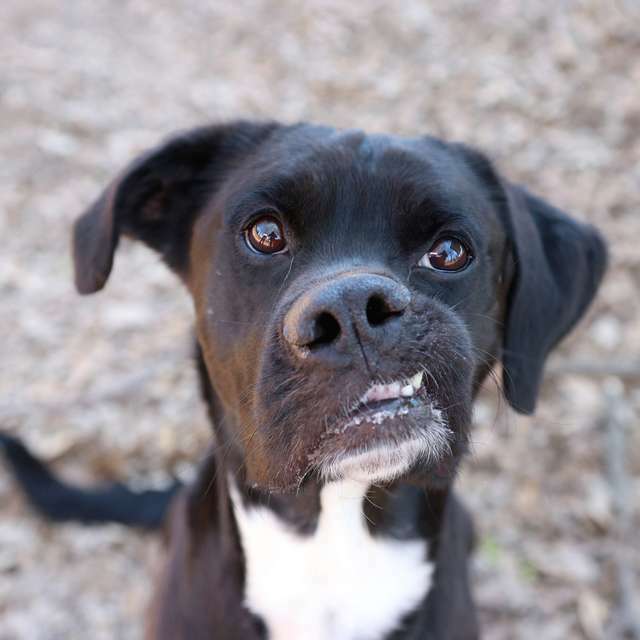 Meet the adorable Mr. Mosley, a sweet-hearted mixed dog with the cutest and most crooked face you have ever seen. Mosley’s face may not be the conventional type of cute you normally see in dogs, but it’s that wonky little smile of his that has taken social media by storm. While the handsome little pooch is getting his fair share of attention now, his journey didn’t start out that way. It all started when he showed up at a shelter based out in the boonies of Georgia, looking for some love and affection. As tragic as it is, there are literally millions of stray and homeless animals living in the U.S.
Until recently, Mosley was one of them, until he found himself in the rescue shelter waiting for someone to adopt him. 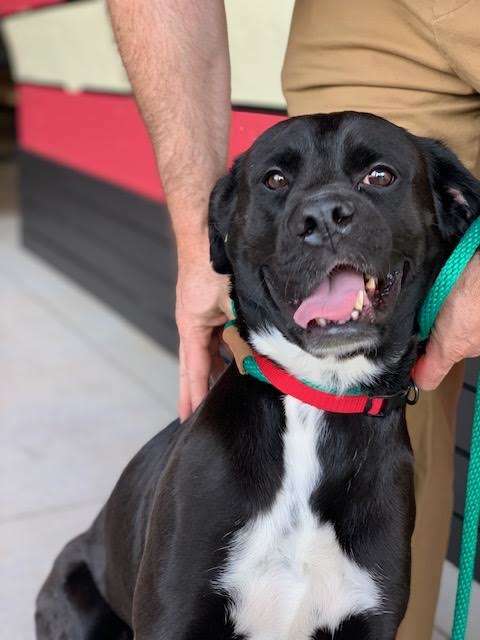 While his oddball face is enough to send him crashing into the hearts of anyone that looks at him, the shelter he showed up in last month was chock-full of other helpless animals needing to find good homes, too. As a result, spunky little Mosley went unseen by potential adopters for the most part. Not because he was hidden from view at all, but simply because he was just another face in a very big crowd. Finally, after several long months of waiting for someone to notice him, Mosley’s luck was about to change. 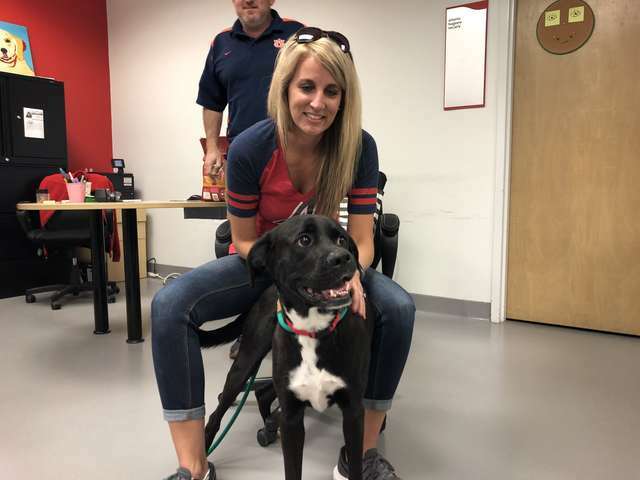 One day, as Atlanta Humane Society‘s marketing programs manager, Amanda Harris, was surfing the web, she saw a picture of a dog that melted her heart on the spot. She had come across a picture of sweet little Mosley, a headshot for his adoption profile that had been largely ignored up until that moment. Amanda knew in the span of a heartbeat that there was a forever home waiting out there for this crooked-faced furbaby. “His crooked grin captured our hearts, and we knew it would help him quickly capture the perfect forever home,” Amanda recalled in an interview with The Dodo. Without skipping a beat, the avid dog-lover grabbed her things and got ready to drive out to the Georgia Shelter to rescue charming young Mosley. Amanda was absolutely certain that Mosley’s crooked-faced grin would steal more hearts than just hers with the right kind of attention. After retrieving him from the shelter and taking a few perfect glamour shots to put online, Amanda recalls just how fast Mosley went from being unnoticeable to unignorable. Among the throng of potential families was one that really stood out as the perfect family for Mosley. 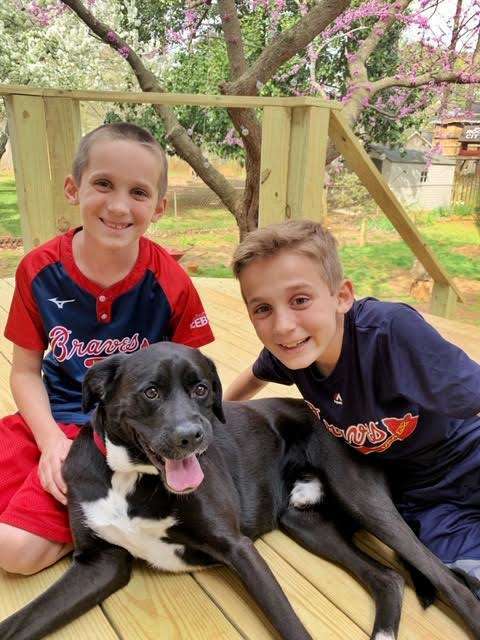 Lindsey Ramsey had reached out to the Atlanta Humane Society with the aim to adopt him, and it wasn’t long before Mosley was on his way to his forever home to meet his wonderful, big, new family. The adoption went through just two weeks ago, but Mosley is already in love with his new life. According to Ramsey, this once unnoticed pup is soaking up all the loves and cuddles he can get.